It’s time for me to make my sporadic plea for wildlife photos, as the tank is getting too low for my taste. If you have good ones, please send them my way. There was a dead man’s foot in the garden on campus yesterday. So I photographed it. 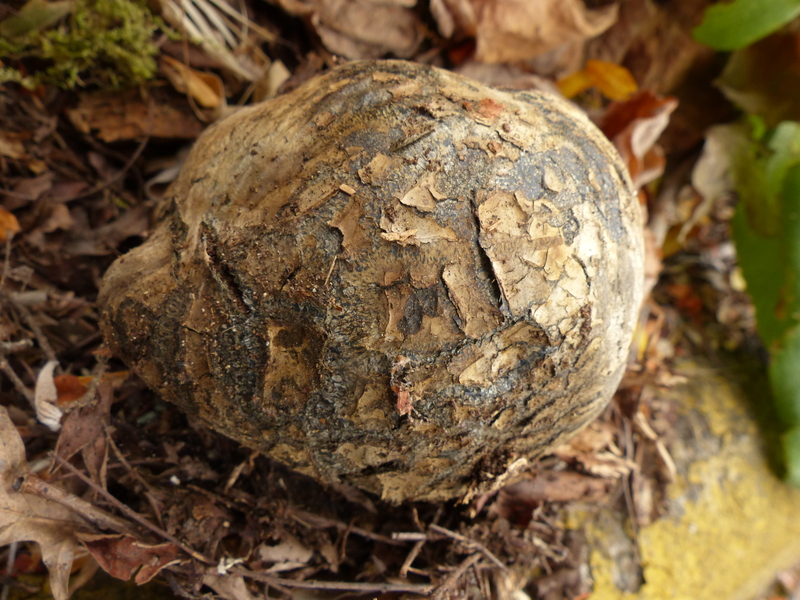 It is Pisolithus arhizus, a bascidiomycete, a fungus. It produces bundles of spores in a black, gelatinous matrix that can be used for dyes, so it’s also called dyeball. It breaks down to release a mass of brownish spores. 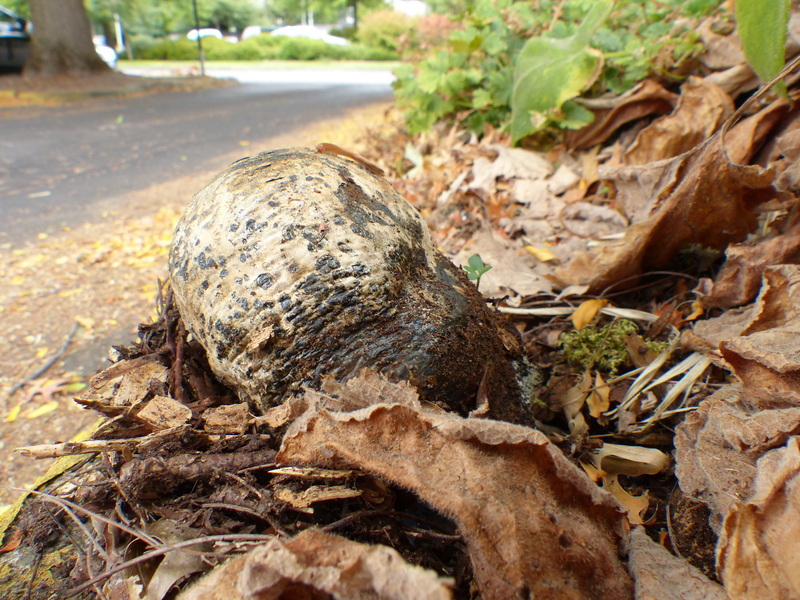 The non-fruiting part is a mass of underground, thread-like structures that are mycorrhizal symbionts of conifers and perhaps other plants. Here are some of your beloved ducks. 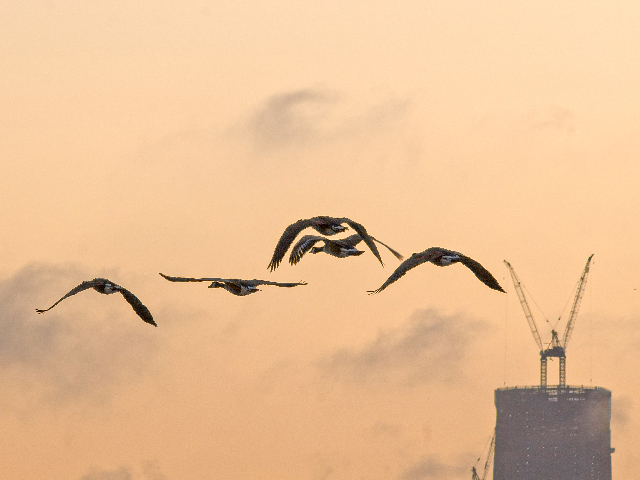 The building in the background at the lower right is One World Center, aka, the Freedom Tower, during construction. This entry was written by whyevolutionistrue and posted on September 1, 2018 at 7:30 am and filed under birds, fungi, insects, photography. Bookmark the permalink. Follow any comments here with the RSS feed for this post. Both comments and trackbacks are currently closed. Recently while visiting family in Ohio, I found a perfectly intact cicada lying on the ground. It now adorns my windowsill in Maine. 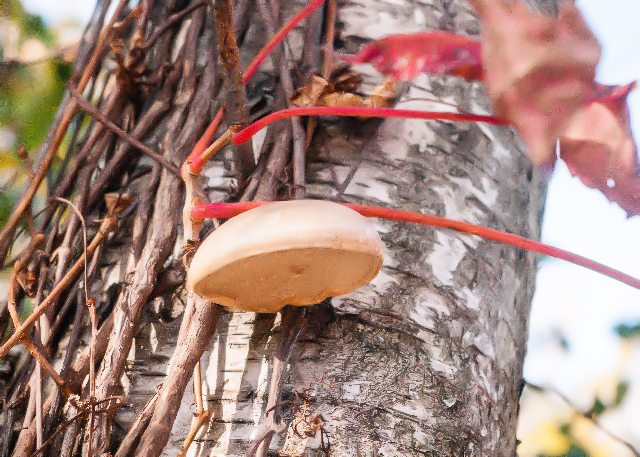 It’s a Birch Polypore (Fomitopsis betulina). Lovely photos. I really love the Dead Man’s Foot. 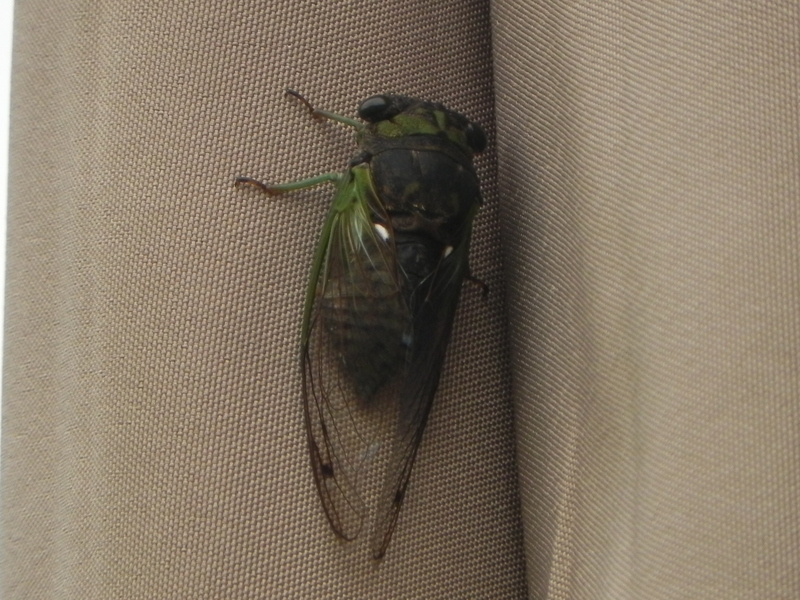 Here’s a link to a site that may help you identify that cicada. The chin strap gives ’em away. Also their proportions are not duck-like. Neck much longer, body fatter, wings longer in proportion to the body. Thanks for the nice assortment today. At first glance (on my iPhone screen) that the dead man’s foot was a tortoise. Very cool all the same. If this were Britain (which it’s not, I know), I’d provisionally flag this as a “Jews Ear”, relating to the shape and the legend that Judas Iscariot hung himself from a birch tree. Since some of that group are edible, I’d drop it into the tray on a “fungus foray” to get an opinion on it’s identity and edibility. I know that I don’t know enough about fungi. Actually, come to think of it, next time I do a fungus foray, I’ll take a stove and frying pan. The orange fungus and the flying birds (whatever they are) are beautiful.